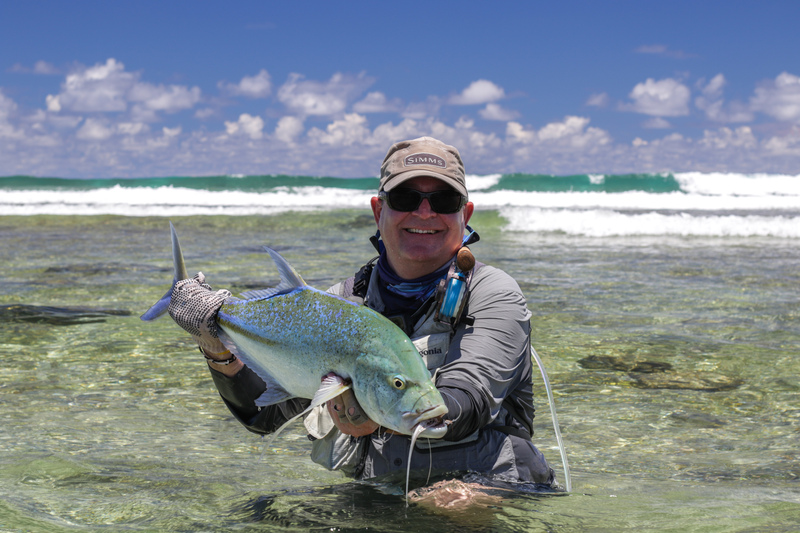 In knee-deep water, trying to figure out whether to be holding a 12wt or whether to be ready with an Al-flexo for a tailing Triggerfish can be a daunting task. 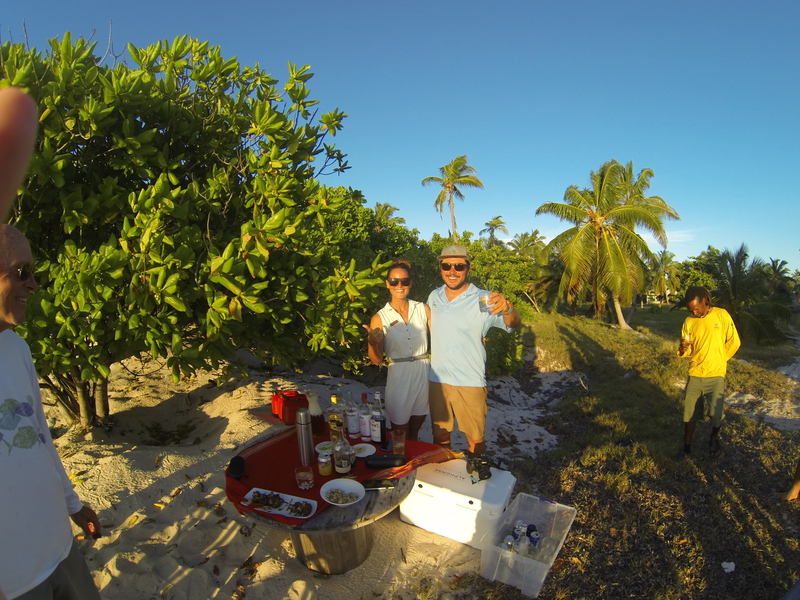 On a pushing tide, the answer to this question can sometimes be critical to making the shot at your GT or not. 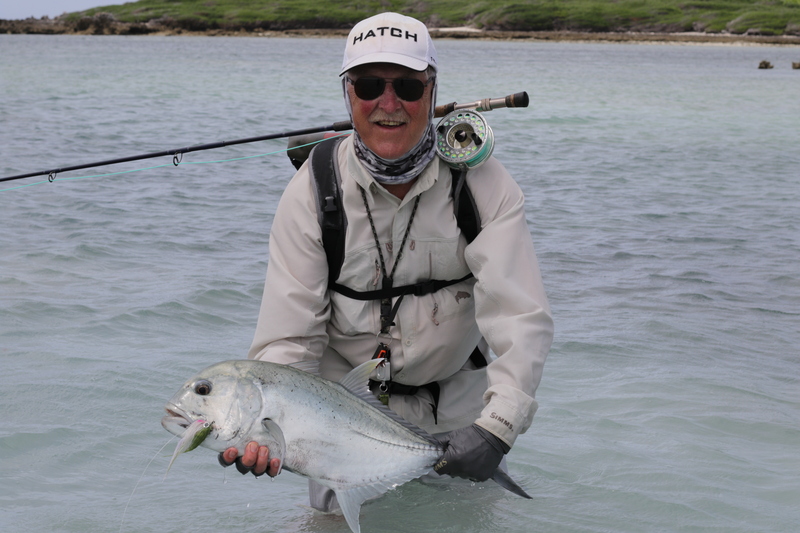 Three weeks into the Astove season and this question was asked and answered many times this week. 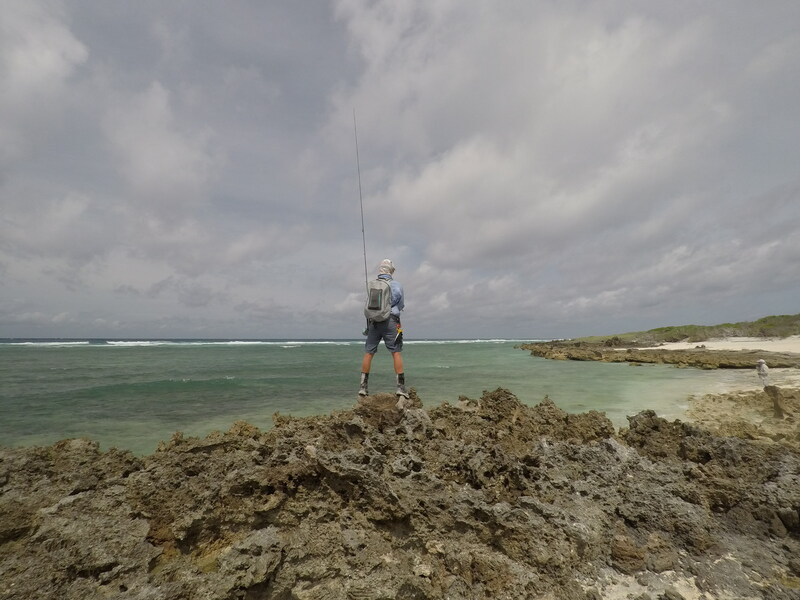 With slower moving tides at the beginning of the week, lots of time was spent walking the turtle grass and outer coral flats looking for Triggers, big Bonefish, and the infamous GTs. 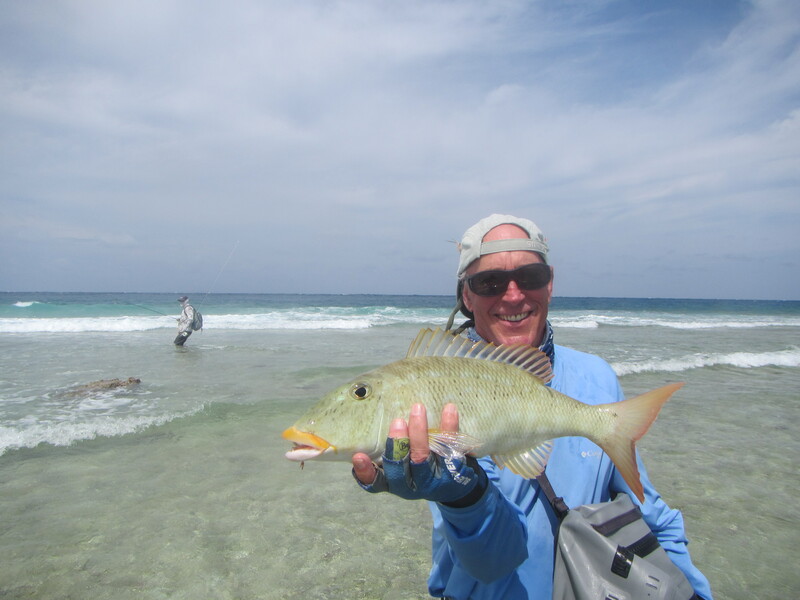 Unfortunately, this week brought about some challenging weather conditions, with a big westerly wind blowing and making fishing outside on “The Wall” virtually impossible. 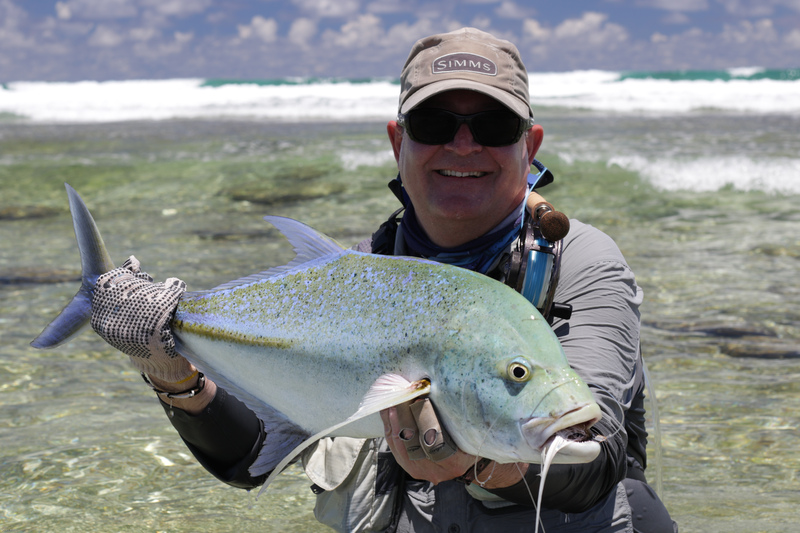 However, the GT’s seemed to like the really rough conditions, even though this made casting remarkably tough and inevitably effecting our GT tally with 18 landed for the week. 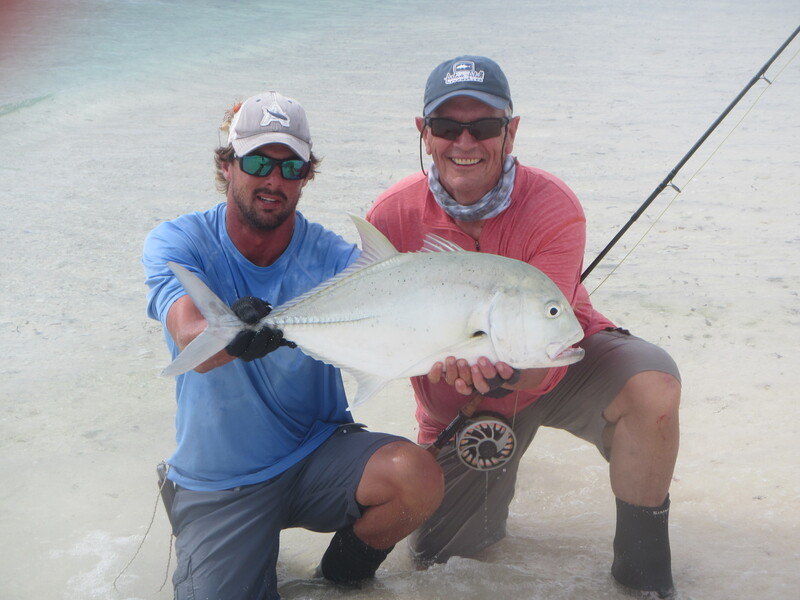 A special mention needs to be given to Jim M who got his hands on two Moustache Triggerfish this week and also a good number of GT’s. 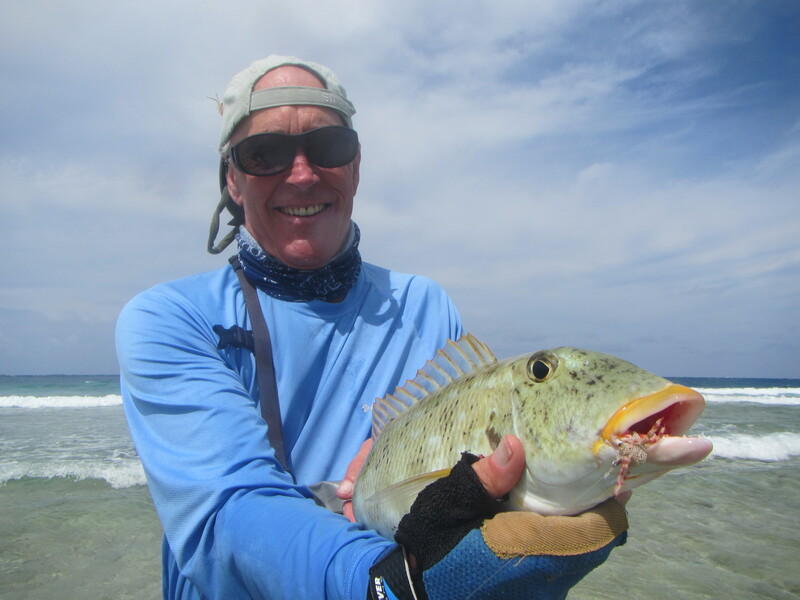 One of Jim’s fish, in particular, was spotted with its back out of the water hunting Baitfish along a mangrove edge. 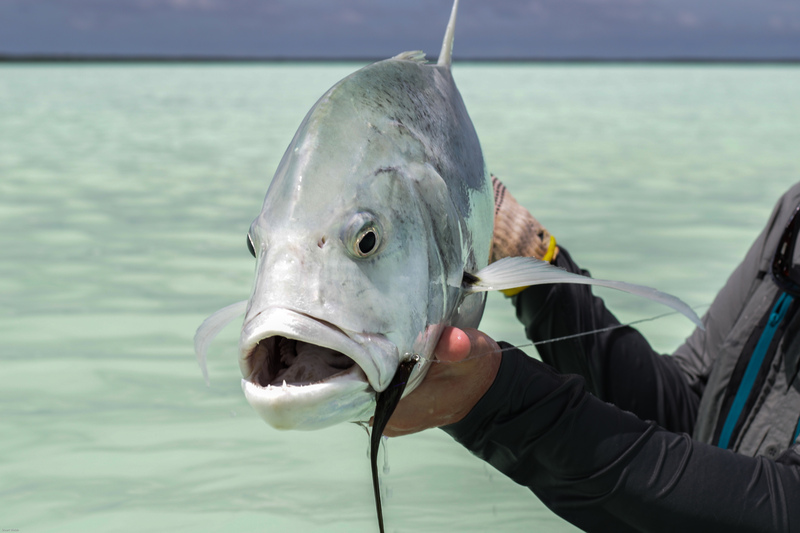 Spencer P also went on to finish his week off with an incredible “Flats Slam” and then in the final moments of the last afternoon hooked and tailed a gorgeous big Indo-Pacific Permit. 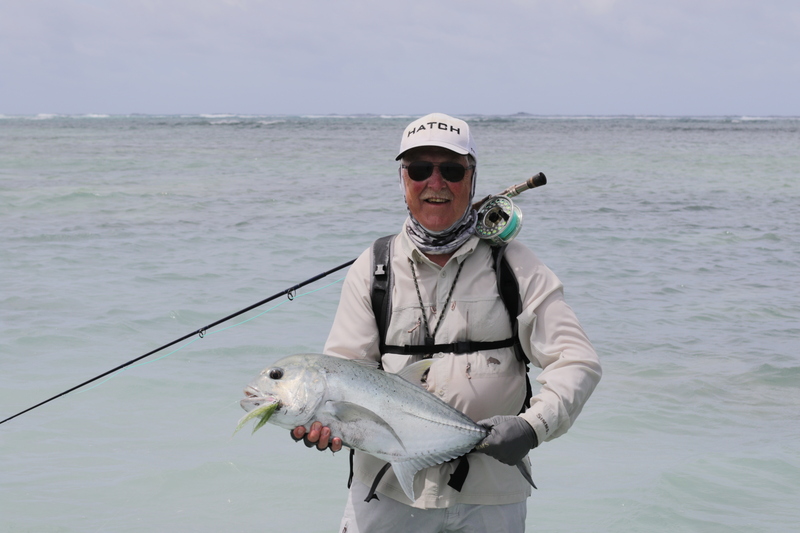 The Permit fishing inside the lagoon of Astove is a completely different dynamic to any other permit fishing around the Seychelles. 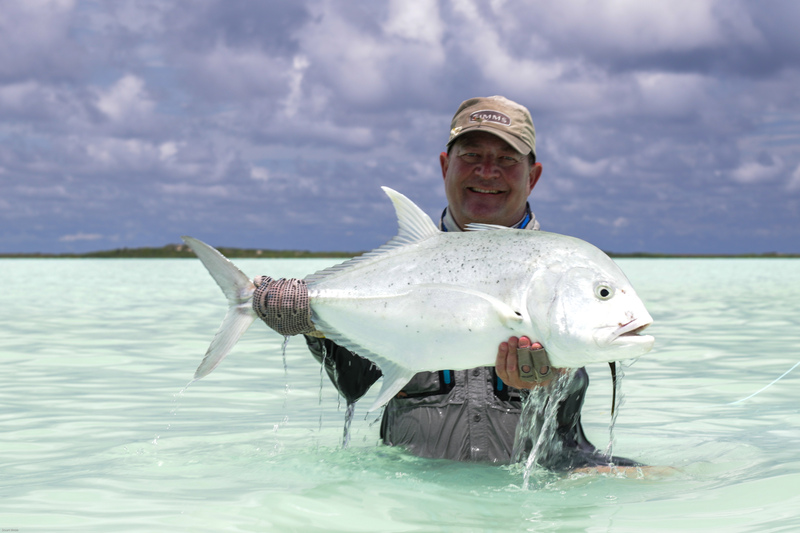 The water is incredibly milky and these fish are notoriously difficult to see, even in clear water. 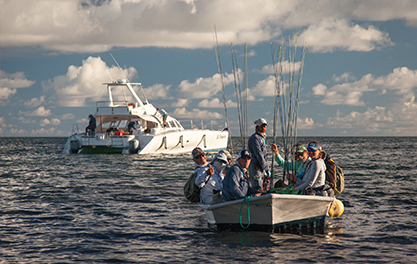 Most of the shots happen within 25 or 30 feet of the skiff, it’s really close quarter combat that requires quick reflexes. 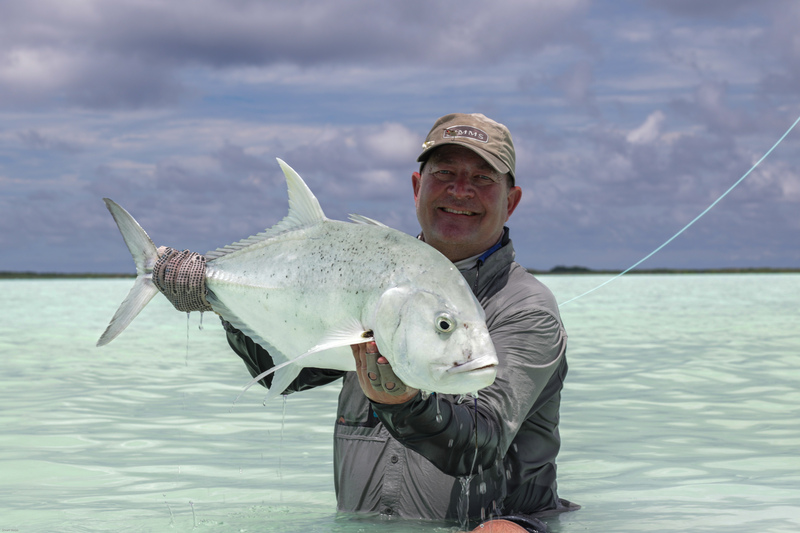 Tight lines from the Alphonse Fishing Co. team on Astove.